Try ’em all, use ‘em all, is how we roll, and why we are excited to share with you the latest spatial, design, and educational experiences we’re working on with our clients. 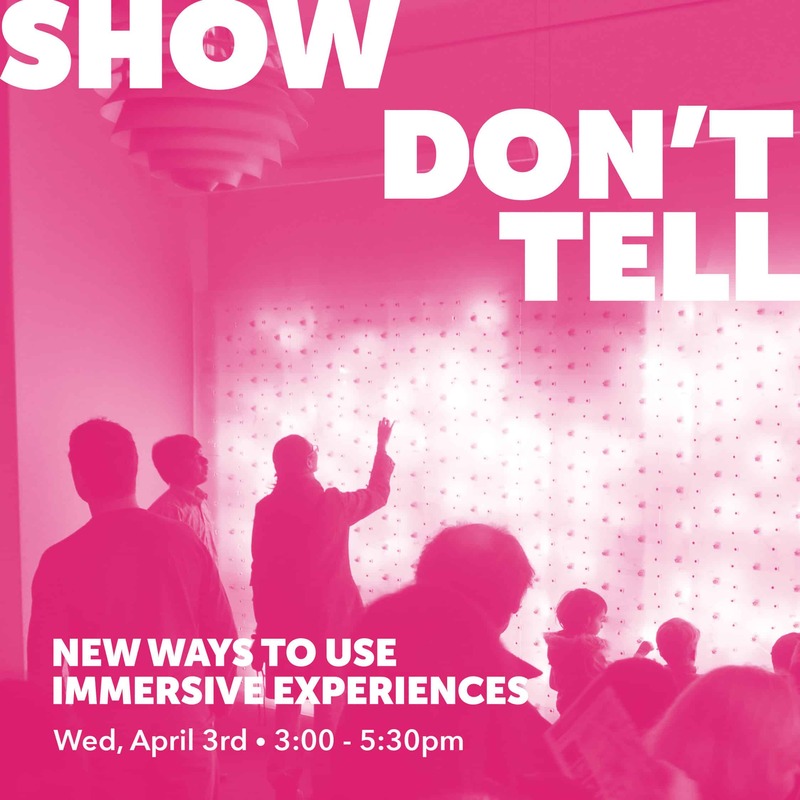 Join us during Boston Design Week in our new Research and Development Lab along with other industry leaders to hear how innovations in technology are transforming the way we tell stories. This free event includes a panel discussion where you’ll hear from professionals in the architecture and innovation industries who are utilizing these newer technologies to tell complex stories in a unique and engaging way. Following the panel discussion attendees can enjoy a wine and cheese reception featuring hands-on demos of some of the latest virtual and augmented reality technology.